My grandson is just 5 months old, and I noticed that my daughter and son-in-law gave him a small amount of peanut butter recently. I didn’t say anything, but I thought very young children should avoid peanuts to reduce the chance a peanut allergy might develop. Should I speak up? Young children, particularly those under age 4, do need to avoid whole peanuts — because they’re a choking hazard. But your grandson’s parents seem to be in the know on the latest research. It’s true that for many years, the medical community advised against feeding peanut products at an early age in the hope that it would help reduce the risk of peanut allergies. In fact, in 2000, the American Academy of Pediatrics made the guidance official, recommending that children not be given peanut products until age 3. But peanut allergies didn’t wane. According to a study based on scientific phone surveys conducted with parents in 1997, 2002 and 2008, the rate of peanut allergies in children younger than 18 years increased over those years from 0.4 percent to 0.8 percent to 1.4 percent — nearly quadrupling in those 11 years. The trends were obvious, and in 2008, the pediatrics group rescinded its 2000 recommendation. Now, we have clearer evidence about what might be the best course of action. The issue is important, because, as most people realize, peanut allergies can be serious, potentially causing anaphylaxis, which can send the body into shock and is sometimes fatal. Newer studies show that introducing peanut products to babies as young as 4 to 11 months old appears to actually reduce their risk of developing a peanut allergy. The latest study, published in the Journal of the American Medical Association in September, reviewed 146 previous studies and found that early introduction of small amounts of peanut products could reduce development of the food allergy by 18 cases per 1,000 children. It might not sound like much, but it is significant in terms of reducing such risks. In addition, the same study found that babies given small amounts of eggs when they were 4-6 months old were less likely to develop egg allergies. Still, parents need to be cautious, especially for children who are at higher risk. According to HealthyChildren.org, an American Academy of Pediatrics website, any child who has ever had a rash from peanuts, or any other reaction to them, shouldn’t be given peanut products. 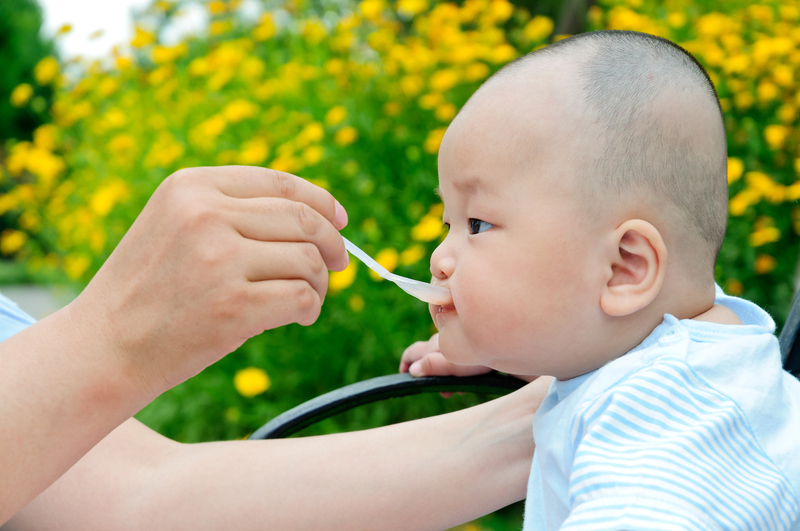 The “early introduction” strategy might be helpful for other children who are at higher risk, such as those with other known food allergies or eczema, but parents should try introducing peanuts to those children only under a doctor’s watchful eye. For children without any extra risk, however, parents may consider spreading a thin layer of creamy (not chunky) peanut butter on a cracker or piece of bread or giving their young children other foods with peanut butter in them. Be sure young children are supervised and sitting up whenever they eat. For more information, see HealthyChildren.org and search for peanut allergies. Chow Line is a service of the College of Food, Agricultural, and Environmental Sciences and its outreach and research arms, Ohio State University Extension and the Ohio Agricultural Research and Development Center. Send questions to Chow Line, c/o Martha Filipic, 364 W. Lane Ave., Suite B120, Columbus, OH 43201, or filipic.3@osu.edu. Please note new postal address as of Oct. 20, 2016. Editor: This column was reviewed by Irene Hatsu, state specialist in Food Security for Ohio State University Extension. For a PDF of this column, please click here. Posted in Food, Food and Health, Food Safety	Tagged peanut allergies, peanut allergy	Bookmark the permalink.